My friend, John Nesheim, underwent surgery Monday to amputate both feet after he suffered severe frostbite from being stranded at the bottom of a ravine in Battle Creek Regional Park in St. Paul last week. The surgery was a success, although John has experienced a significant amount of pain. I talked to him yesterday morning, the day after surgery and he was doing better than the previous afternoon, when he was in a lot of pain. They got it under control with medication and he seemed to be in pretty good spirits. One thing that really impressed me was the group of students from the University of Minnesota that sat at his bedside in two-hour shifts all night Monday to be with him and pray for him as he recovered from the surgery. They all belong to a Christian community called People of Praise, which John and I also belong to. John was very blessed by the students’ presence. What a great Christian witness! I’m sure at least some of them had never met John before. I believe acts like this greatly please God. I’m so glad John is getting such great support. I pray he can continue to get it as he begins the long road to recovery and the use of the artificial feet he will get soon. In the middle of a month when temps across the Midwest have bottomed out well below zero, a baseball novel can have a warming effect. Minnesotan John Nemo — who covers baseball as a professional journalist — combines his knowledge of the national pastime with his deep spirituality to come up with a page-turner that will keep any fan on the edge of his seat. 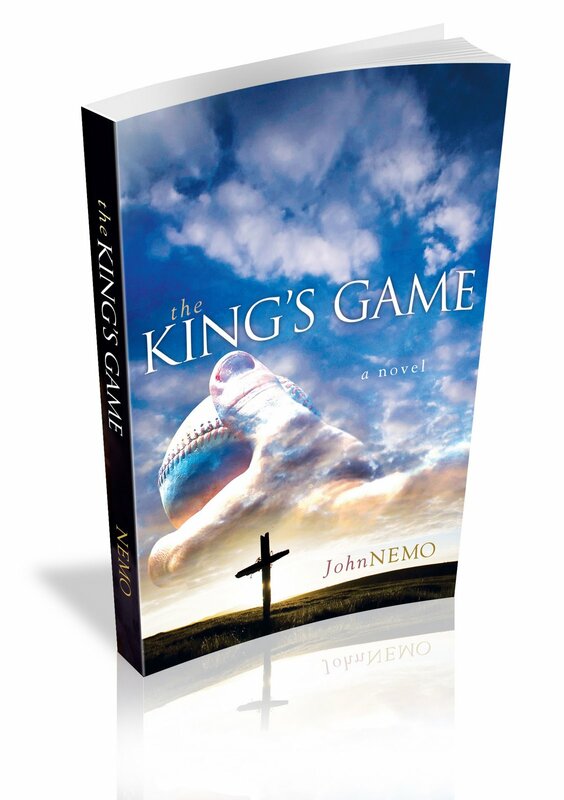 “The King’s Game” is more than just a sports story. People of faith will quickly pick up on the allegory woven through the compelling tale of the life of Cody King, a great pitcher. The events of King’s life — beginning a birth – would test anyone’s belief in God. Nemo adds a love element, a friendship element, and best of all a father-son relationship element, exploring all of these while all the while taking us through the seventh and deciding game of a fictional World Series. As a baseball junkie myself, I notice one faux pas in the action on the diamond: In the third inning, the pitching coach goes out to settle down the opposing pitcher, and later in that same inning the manager trots out to the mound, too. Any fan knows that second visit to the mound means there has to be a pitching change, but that doesn’t happen in the novel. The pitcher stays in the game. Ooops. If you’ve ever taken a tour with a guide who wasn’t connecting with his or her group, you come to appreciate really good tour guides, people who not only know their subject but engage you in the topic, bringing information, insight and even entertainment. My wife and I had that excellent kind of guide — Liz Lev — with a group touring the Vatican Museums. Everything we saw became so much more meaningful thanks to a great guide who was able to help us see not just artistic value but intention and the works’ place in history. With “Michelangelo and the Sistine Chapel,” Andrew Graham-Dixon offers much of the same insight to his readers. 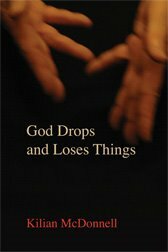 It’s not quite halfway into his book that the London-based art critic begins an absolutely thorough interpretation of Michelangelo’s famous paintings on the ceiling and wall of the Sistine Chapel. But that’s because he sets up his art instructing by first giving readers a rather complete picture of the artist and his world at the beginning of the 16th century. No piece of the life of Michelangelo Buonarroti is left untouched, and I came to feel that the biographical section of this book was as helpful and important for understanding the Sistine Chapel as the interpretation of the world-renown paintings itself. We learn of the artist’s family background, his training, his benefactors — and most importantly his faith. The heart of the book, written in observance of the 500th anniversary of the start of the work by Michelangelo in 1508, is Graham-Dixon’s interpretation of the Sistine Chapel ceiling itself. While not ignoring style, he focuses on what Michelangelo meant by what he painted, how the pictures’ meanings unfold, the subtle ways through which the artist gave expressive life to this amazing group of interlinked compositions. As a user’s guide to the Sistine Chapel, this book is superb. Graham-Dixon walks us through each section and each panel of each section, pointing out not only beauty and the technical skill but why each figure is painted the way it is. What we learn is that Michelangelo was a student of Holy Scripture — especially the Hebrew Books — and that he aimed to paint “his own vision of what he believed to be the eternal truths of Christianity,” the author states. Readers will come to understand the geography of the chapel ceiling, how the famous depiction of creation — with God’s pointed finger reading out to touch the finger of Adam — fits into the rest of the biblical history, with the great cast of characters including Eve, Noah, David and Goliath, Judith, Jeremiah, Jonah and on and on. Graham-Dixon gives his excellent interpretive skills to helping readers grasp in much the same way Michelangelo’s “The Last Judgement,” painted 15 years after the ceiling. Taking up the entire wall behind the chapel’s altar, it is a monumental fresco as rich with meaning as the ceiling above. Sadly, details of this beautiful work are depicted only in black and white photos, which hardly do justice to this colorful masterpiece. And, if there is any fault at all in “Michelangelo and the Sistine Chapel,” it is the small size of the pages — six inches by nine inches. There are 32 full-color pages that bring the Sistine’s ceiling right into our hands, but I couldn’t help but think how much more delight to the eye would have been deivered in a larger format. Perhaps Skyhorse Publishing will be able to work that out in a later edition. As it is, though, I compared the printing in this latest book with the same Sistine Chapel panels printed in a larger, coffeetable-sized book given to me as a gift several years ago. The color work — the brightness and the clarity — in “Michelangelo and the Sistine Chapel” is far superior. I wasn’t exactly bursting with excitement at the prospect of removing snow from my sidewalk and driveway last night after the daytime snowstorm. It was dark, cold and windy and I much preferred to sit in our back room and get a fire going in our fireplace. But, I dragged myself out to the garage and pulled out the snowblower. Thankfully, it started and I was soon sending streams of freshly-fallen snow into the stiff, arctic winds. Surprisingly, the hour I spent outside in the cold proved both peaceful and enjoyable. As I headed down the sidewalk tottering behind my blower, I happened to look up and notice a full moon — or close to it — just above the trees. It was a crisp, beautiful scene. There’s something about a clear winter sky on a subzero night that I find very attractive. It made me want to stop, look and pray. The day had been unusually stressful for me and I couldn’t help but think God created this opportunity so that I could find a brief moment of peace. I felt gratitude and took my time finishing the job so that I could enjoy this lunar display. It’s one of the beauties of winter that I suspect a lot of folks overlook. As much as many people dislike cold and snow, God is in the midst of them both continuing to display his creative works. May I always have eyes to see his awesome wonders! The joy of Christmas was dimmed a bit by the death of my former coworker at The Catholic Spirit, Emilie Lemmons. She lost her battle with cancer Dec. 23, and I attended her funeral at the Basilica of St. Mary Dec. 29. On that occasion, I was reminded that Emilie had a love for photography, especially outdoor photography. It was an interest we both shared. For her, it started during the latter part of her employment here at the Spirit, where she worked until the birth of her son Daniel, now 2. I remember her quizzing me on several occasions about cameras, lenses and techniques. I was fortunate to have had the opportunity to display my knowledge of photography on her wedding day, as I gladly accepted her request to shoot her wedding. It turned out to be a beautiful May day and we got the chance to shoot some outdoor pictures outside St. Luke (now called St. Thomas More) and on Summit Avenue. We were able to incorporate some beautiful lilac bushes in the photos. The flowers were past bloom, but there were plenty of beautiful green leaves to incorporate into the pictures. I remember how joyful Emilie was at being able to experience such a beautiful spring day. God certainly blessed her and her new husband, Stephen, with some of the finest weather Minnesota has to offer. That contrasted sharply to the bitter cold that blasted our state the day of her funeral. It made this sad occasion seem even grimmer. I’m so glad I have some positive images of Emilie to hang onto. In fact, I was flattered to learn that one of the pictures I shot at her wedding was on display in the church during the visitation that preceded the funeral liturgy. It was a shot of her with her sisters. I remember that we took deliberate care to take this photo. It was important to Emilie and, I suspect, it is important to her family now. Getting through the funeral was tough for me. As many people know, I lost my first wife, Jennifer, to cancer in 1995, leaving me a single father with two young sons, Joe and Andy, who were 3 and 2 at the time. Emilie’s husband is in a similar position. Stephen has two boys, Benjamin, who is 9 months, and Daniel. I was able to greet Steve before the funeral and I sincerely hope I can support him in the days and months ahead. As tragic as this event is, there is hope for Steve and the boys. That is what I learned when Jennifer died and what I hope to share with Steve. Hopefully, as time goes on, he will be able to enjoy the opportunities to look at pictures of his wife, and also look at pictures taken by her.